My garden has reseeded marjoram, many kinds of thyme and lavender to combine in a summer scented herbal wreath. The main structure of a wreath like this is a coat hanger or other similar wire, stretched into a circle. The bunches of herbs can be tied to the wire with smaller wire or string, in sequence around the circumference. In most cases, the herbs can be dried first so they retain their shape. I also fill in with other scented garden plants to add more bulk to the wreath; many herbs are very slender. 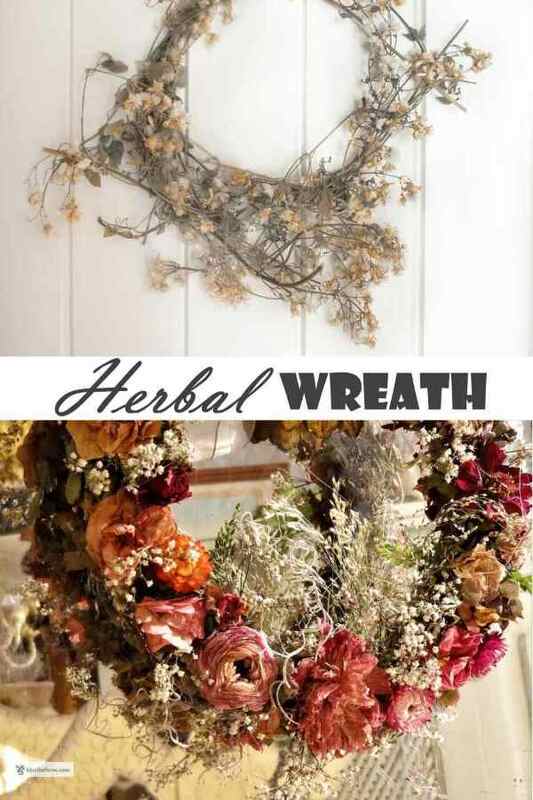 The wreath can be made by gathering small bunches of herbs together and using florists tape to hold them, then attach them to the circle of wire with tape or wire. It's important not to get too hung up on perfection with these kinds of wreaths. It doesn't matter if it's not perfectly round, or is lop sided. The beauty of these sorts of decorations is their natural appearance - let nature dictate the way it looks! The herbs you use an be fresh or dried - the fresh ones are easier to work with as they're still flexible. Dried sprays can lose their leaves as you bend them - but, boy does it smell nice. Display a wreath this delicate in an out of the way place, because otherwise small flowers will fall off as you pass by. Make sure it is somewhere you can smell the fragrance of the summery herbs.